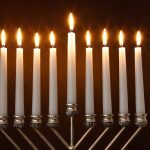 You are here: Home / About Hanukkah / What is a Hanukkiah? 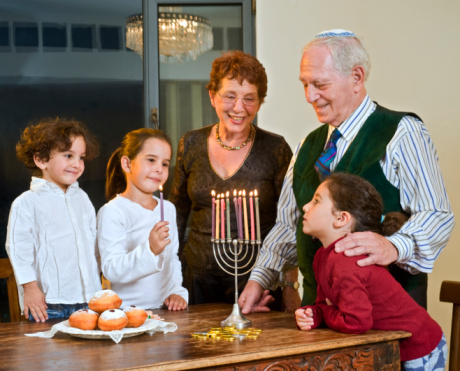 Lighting the hanukkiah is a central part of any Hanukkah celebration. 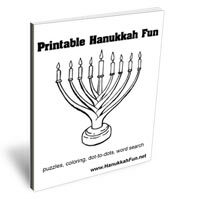 The hanukkiah is a special type of menorah made just for Hanukkah. Instead of having seven branches to represent the seven days of the week, like a regular menorah, it has nine branches. It is used to commemorate and publicize the miracle of the oil, which was enough to last one day but instead lasted eight. When the Greeks attacked the Jews, they did not seek to destroy Jews possessions or kill the Jews. Instead, they simply wanted to destroy Jewish religious observance. They did this by defiling any religious objects, making them impure and unfit for religious use. When the Jews successfully revolted, they tried to rededicate the holy Temple, but all the jars of pure olive oil had been opened and ruined by the Greeks. The Jews could find only one jar they could use to light the menorah in the Temple. However, a miracle occurred and the one jar of oil burned for eight days – just the amount of time needed to make and purify more olive oil. A hanukkiah is designed with nine branches. Eight of the branches represent the eight nights that the oil burned in the Temple and the ninth branch, which is called the “shamash,” is used to light the others. The eight branches must be in a straight line, not in a circle or zig zag. They must also be on the same level, not with some branches higher than the others. The shamash, on the other hand, should be clearly set apart, usually placed above the others, although it could be in front of, behind, or below them. 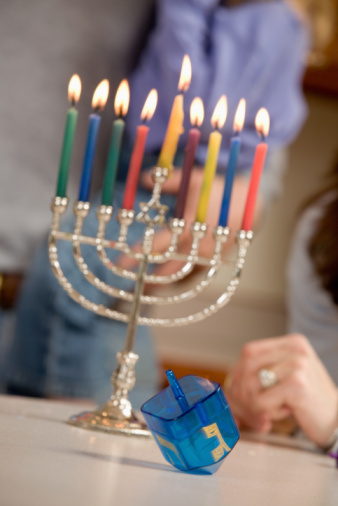 When lighting the hanukkiah, you can use either candles or oil, although oil (especially olive oil) is preferred. The hanukkiah is a way of publicizing the miracle of the oil in the Temple and the Temple’s menorah was lit with pure olive oil. Therefore, you should try to buy the highest quality olive oil you can afford, to represent the miracle. If you are using oil, try to buy wicks made of cotton because these will produce a smooth, steady flame. Although you can buy electric menorahs, which are great for displaying, you should make sure to light a real flame each night of Hanukkah. Whether you use candles or oil, make sure they will burn for long enough! During a weekday, the lights must burn for at least 30 minutes and on Friday night (Shabbat) they must burn for longer – usually at least an hour and a half. 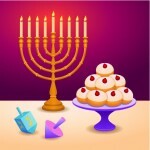 You should put the candles (or cups of oil) into the branches of the hanukkiah from right to left. You should start with only one on the first night and then add a new one for each night of Hanukkah that goes by. Then, light your shamash and use it to light your candles from left to right, so that the newest candle is always the first one lit. You should always make sure that your lit hanukkiah is visible to passerby. It is nice to place it in your window if you live in a house, but if your driveway is very long, you may consider placing the hanukkiah in a glass case at the end of your drive. The goal is to publicize the miracle that occurred, so the more people who see your bright Hanukkah lights, the better!